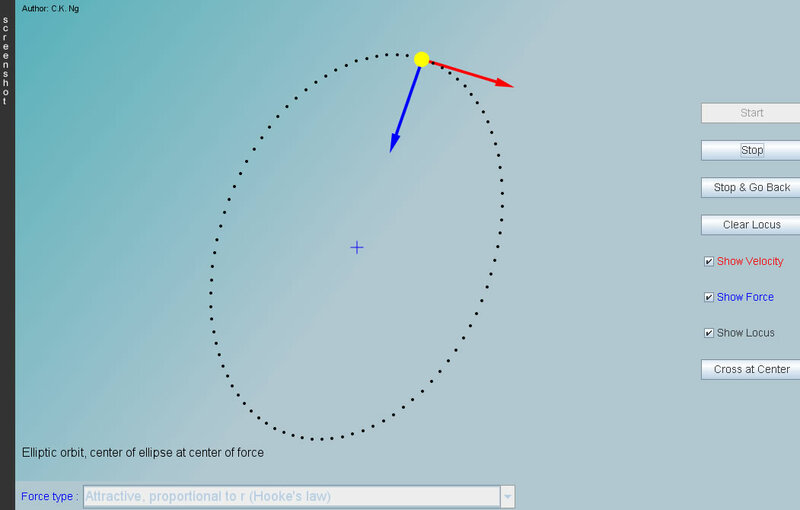 Bertrand's theorem: In central force motion, the orbits are closed only for inverse square law and Hooke's law. The blue cross is the center at which the central force is pointing. As the mass of the interacting object situated at the blue cross is assumed to be much greater than that of the yellow sphere, the blue cross is legitimately regarded as a stationary point.